Under Chapter 324 of Florida statutes, registered vehicles in the state of Florida are required to carry no fault insurance with minimum limits of $10,000 for individual claims and $20,000 per accident. Also referred to as "no fault" or "Personal Injury Protection" (PIP) insurance, these laws operate in a way that your own insurance policy will cover your own medical bills and related expenses in an accident regardless up to these amounts regardless of who is at fault. In other words, personal injury protection will pay injury victims medical bills and expenses that result from car accident injuries without having to determine negligence of third parties. PIP will also cover 60 percent of lost wages, and $5,000 for death benefits. Passengers in your vehicle and who also sustain injuries and who have their own car insurance coverage will be covered under their own policies. In the event that a passenger in an insured vehicle does not have their own insurance coverage they may be entitled to coverage under the policy that covers the vehicle they were injured in. In addition to $10,000 in no fault coverage, Florida law also requires drivers to carry an additional $10,000 in Property Damage Liability (PDL) insurance. Property damage liability insurance covers you or your family members for any damage caused to property of another's motor vehicle in an accident. Such property may include vehicles, motorcycles, homes, or other structures on a person's property. Another type of insurance that is available but not required under Florida law to drivers is Bodily Injury Liability (BIL) coverage. Bodily injury pays for any injuries or death that the policyholder causes to third parties in a motor vehicle accident, up to policy limits. Bodily injury coverage will also pay for your legal representation in the event that you a claim is filed against you or in the event that a lawsuit is filed for personal injury, death, or property damage because of an accident. An unfortunate reality is that not everyone on the road is insured, and that you cannot depend on other motorists to carry sufficient insurance in the event of a serious accident. As a result, an additional option available to Florida drivers is to purchase uninsured and uninsured motorist (UM) insurance coverage. Florida law requires all insurance companies to offer all registered policy holders in Florida uninsured and under-insured motorist coverage. Furthermore, drivers are required to indicate in their policies that they "reject" uninsured motorist coverage. If insurers fail to get policy holders to expressly reject coverage or do not have proof then policy holders are legally entitled to coverage by operation of law. UM insurance covers driver, passengers and pedestrians, for all personal injury damages including amounts for permanent injuries, pain and suffering, and other medical and hospital related expenses that arise from an accident that is caused by a uninsured motorist, or a motorist who does not have enough liability coverage to cover your damages. UM insurance will cover you whether you are driving, a passenger in another person's car, or involved in an accident as a pedestrian or even if you are injured on a bicycle. Purchasing uninsured or under insured coverage can ensure that your are adequately protected if you, your children, or others in your household are injured in an accident where someone else is at fault. 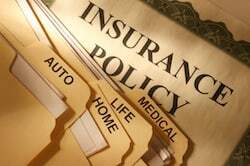 The types of insurance listed above are some of the most common types of insurance available to Florida drivers, and everyone should fully explore all of the insurance options available to them. In the unfortunate event that you are involved in an motor vehicle accident, you should consult with an attorney as soon as possible to make sure that your rights are protected. Insurance companies can engage in questionable tactics to avoid paying out on valid claims, and the involvement of an experienced Florida car accident attorney can help make sure that you get the compensation you deserve. The state of Florida requires all drivers to carry car insurance to protect themselves and others people from the liabilities that they may incur as the result of a car accident. When car accidents are caused by negligence, victims may be able to recover through a Florida personal injury lawsuit. 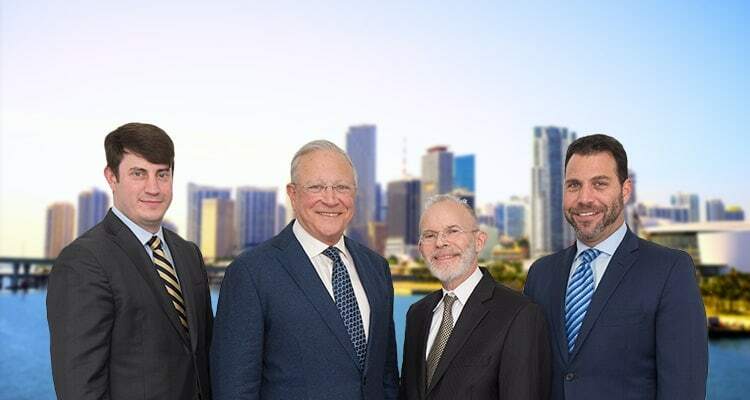 Anyone who has been injured in a car accident should contact a Miami, Florida car accident attorney at Gerson & Schwartz, PA as soon as possible for a free consultation. Were also available via email at info@gslawusa.com. Our Florida injury attorneys are committed to helping people like you that may have been seriously injured in a car accident or collision. For more information call us at (305) 371-6000 or email us at info@gslawusa.com. Se Habla Español.